MITIE, the FTSE 250 strategic outsourcing company, has been recognised as one of finest companies in the UK facilities management industry at this year’s British Institute for Facilities Management (BIFM) Awards. The awards recognise excellence and innovation in the FM industry across 13 categories. MITIE’s client services business, which provides bespoke front of house services throughout the UK, was successful in the awards for the second year running, picking up the award for ‘Learning and Career Development’. The team, which was awarded ‘Service Provider of the Year’ in 2012, was recognised this year for their leading design and delivery of custom-built training courses both for clients and in-house. 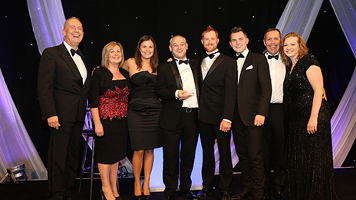 “This award is a fantastic achievement for our training and development team. To be recognised by BIFM as an industry leader is testament to their commitment and innovative approach in delivering thought provoking courses. MITIE was also nominated as a finalist in two other categories: ‘Excellence in Customer Service’, and ‘Impact on Organisation and Workspace’ in partnership with Network Rail. MITIE’s 24seven helpdesk, a state of the art FM offering which launched in July, was nominated for the ‘Excellence in Customer Service’ prize. This is the second time this month the helpdesk has been recognised, having been awarded a silver medal for ‘European Medium Contact Centre of the Year 2013’ at the ICMI European Call Centre and Customer Services Awards. MITIE’s partnership with Network Rail was also shortlisted in the ‘Impact on Organisation and Workspace’ category. MITIE has worked with Network Rail at the Quadrant Building in Milton Keynes, to help improve working practices through the installation of new technology and collaborative workspaces. The award ceremony was held at The Grosvenor House Hotel in London last night and was hosted by famous writer, broadcaster, and former MP Gyles Brandreth.